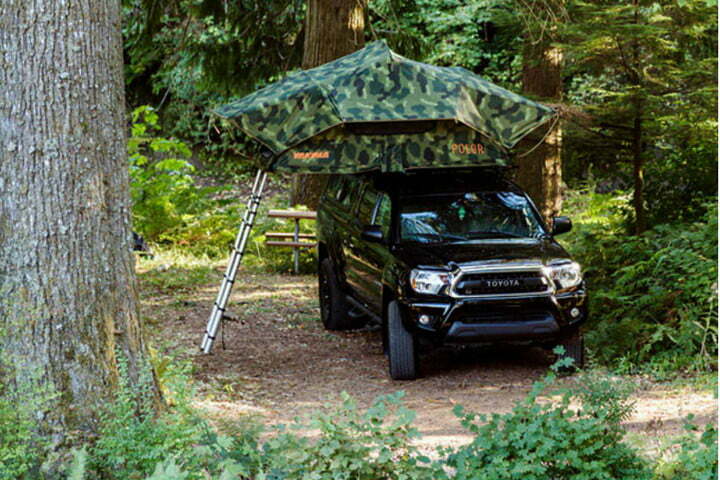 Rooftop tents are definitely trending — but instead of saturating the outdoor industry with new designs, some companies are taking fan favorites and transforming them into exclusive must-haves. 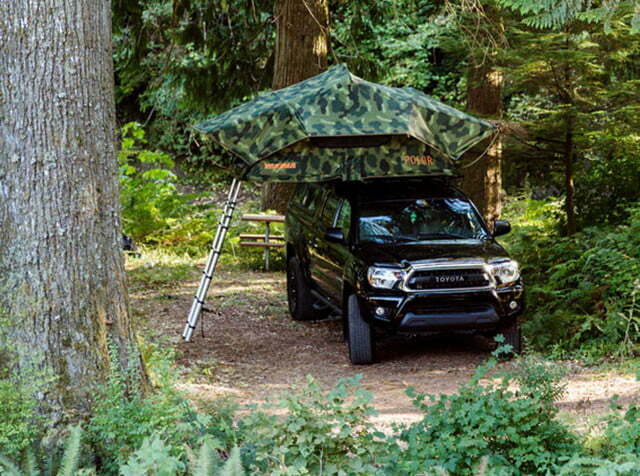 Yakima’s original rendition of the SkyRise tent is the perfect outdoor lodge for your car or truck, ideal for warm weather and star gazing. 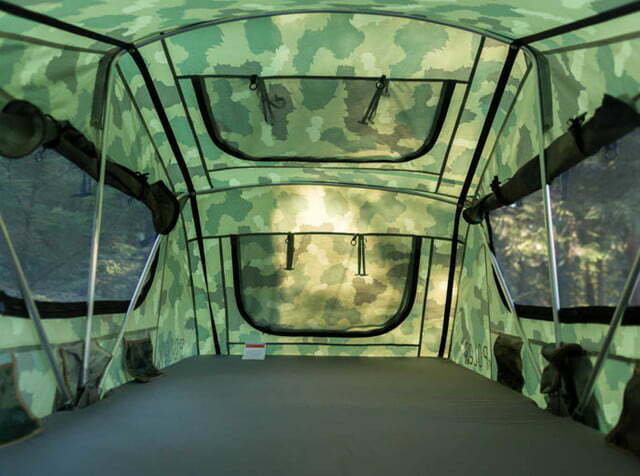 The company recently teamed up with Portland-based outdoor gear maker Poler on a fabulous makeover of the popular SkyRise — complimented with camouflage fabric and orange accents and suitably dubbed the SkyRise Poler. The SkyRise Poler is a sight to behold, featuring the same easy-to-pitch design, windows, and two skylights — all integrated with stylish camouflage fabric in place of the original red and silver. 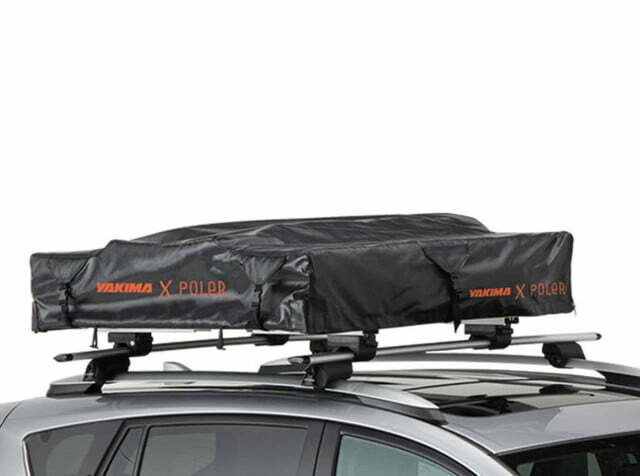 The Yakima and Poler brand labels stand out in easy-to-see orange letters on the front of the tent when pitched and the black soft-top tent cover when folded up. The tent is crafted with 210-denier nylon that is both lightweight and breathable. Mesh panels on both skylights and windows allow for plenty of ventilation during the warmer months while ensuring the interior is kept bug-free. The original Yakima SkyRise is most popularly known for its optimum star gazing potential — and this exclusive rendition is no exception. Also suitable for rainy conditions, the tent comes with a 210-denier rainfly that is PU coated for optimum water resistance — and can easily be removed, making for a wide open view and quicker setup. 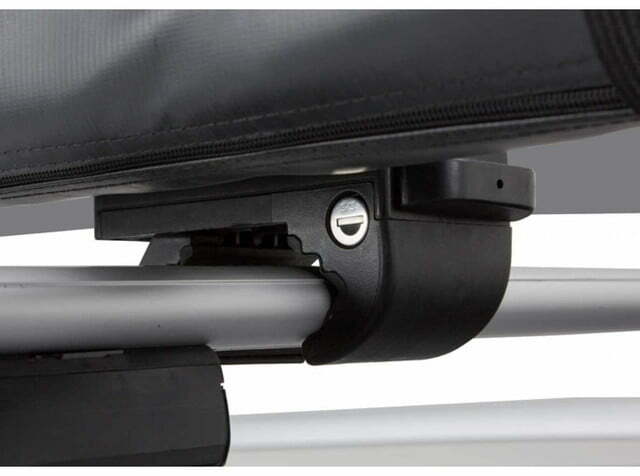 To make pitching this rooftop tent even easier, the lightweight, durable aluminum poles are preset. Concerned about comfort? Yakima and Poler have opted to maintain the cushy, 2.5-inch wall-to-wall foam mattress utilized in the original design — the wall-to-wall feature ensuring you won’t roll off your mattress in the middle of the night. In addition, the mattress cover can be removed for easy cleaning. 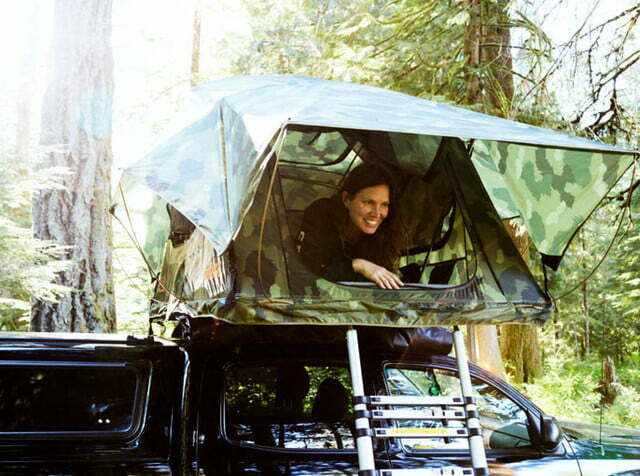 The interior sleeps up to three people. To top it all off, the SkyRise Poler is easy to mount onto your car or truck — no tools or bolts required. Yakima boasts a 15-minute installation time — and you can find the installation manual on its website. A roof rack mounting system is required. 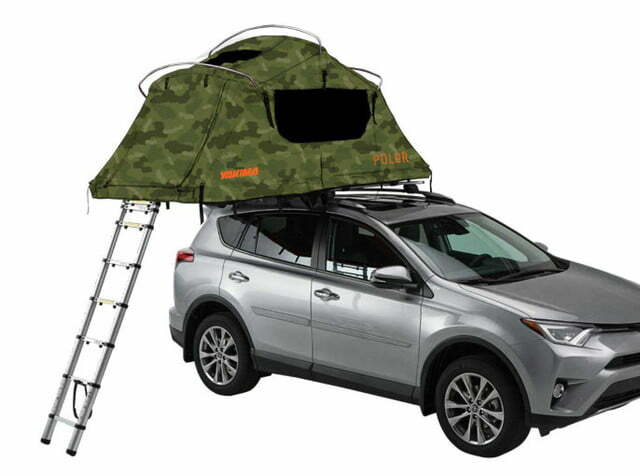 The SkyRise Poler is available for $1,600 on Yakima’s website.